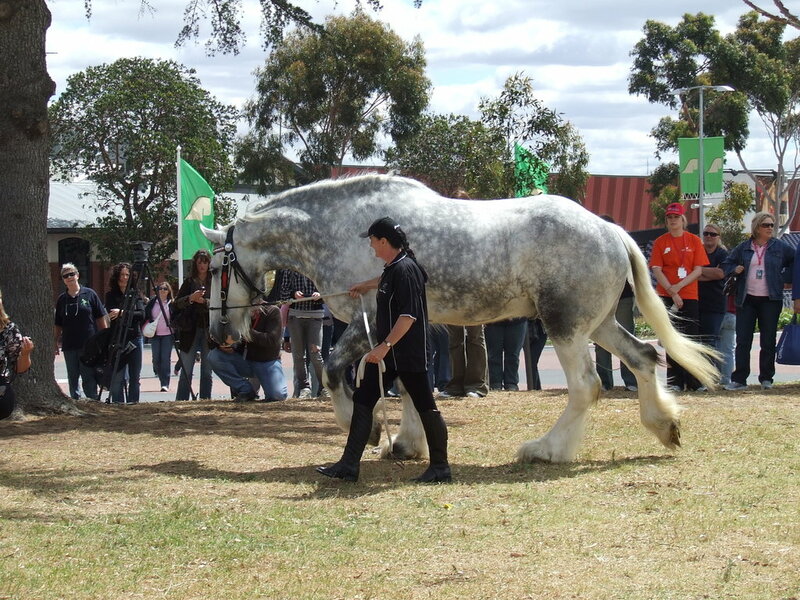 Luscombe Nodram, Noddy, is the tallest horse in Australia , as well as the tallest horse in the world. 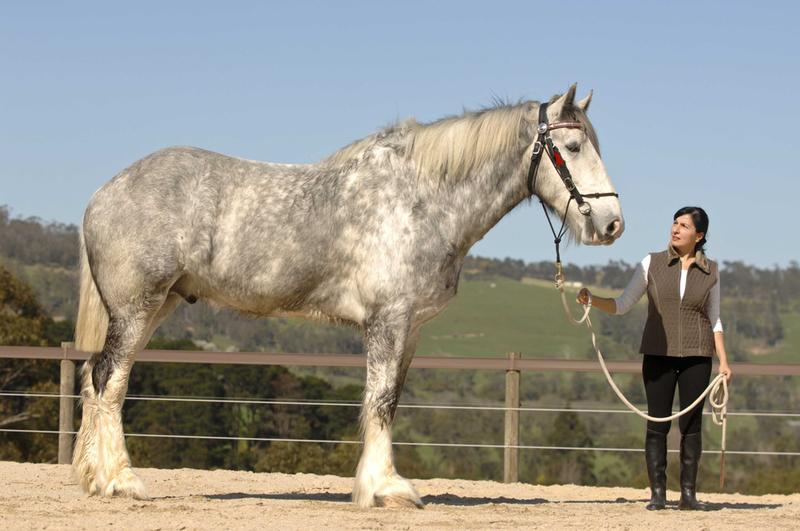 He is a purebred shire gelding and is owned by Jane Greenman of Victoria. 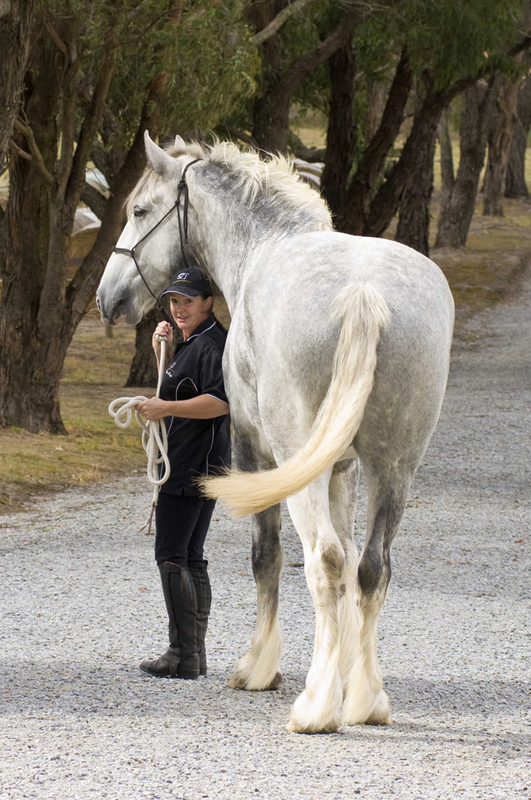 Noddy was a normal height when he was born and a normal height as a weanling. That is where Noddy stops being normal. 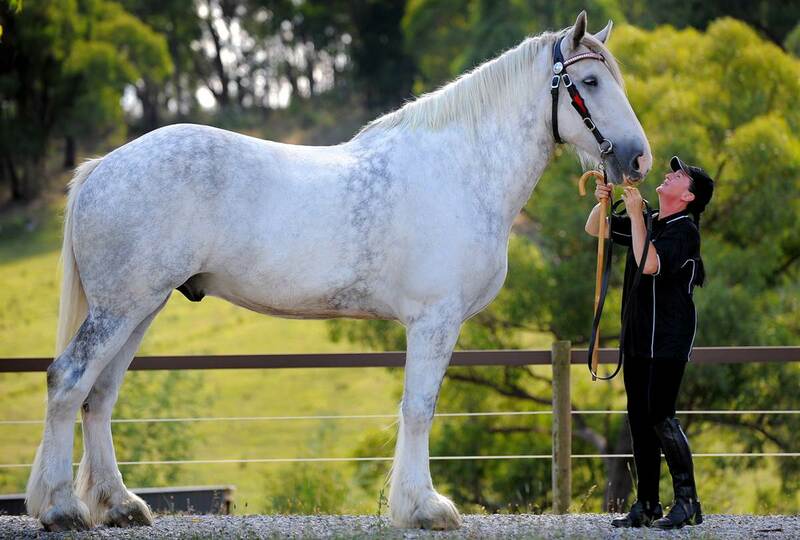 He just kept growing and growing. Now Nodram stands 20.2 hands. Nodram was bred and born at the Shires of Luscombe in Queenlsand. 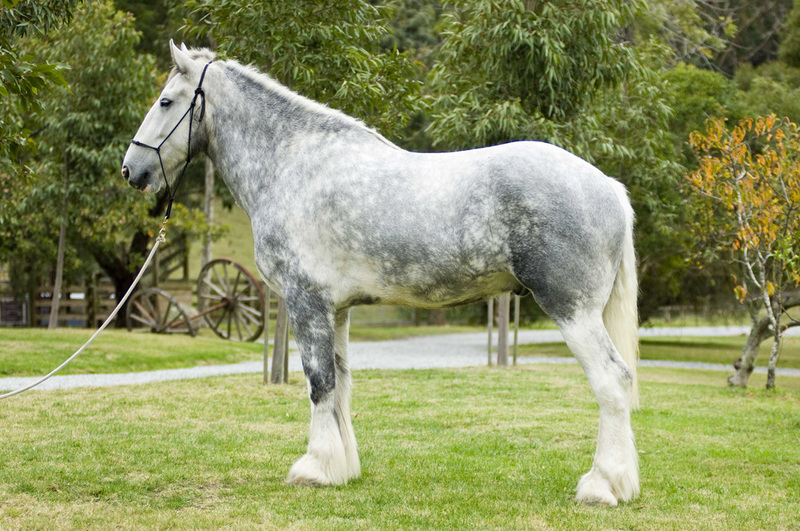 Nodram’s Great Great Grandsire Ladbrook Invader, was also tall. In 1981 he was in the Guiness Book of World Records as the tallest living horse, standing 19.2 hands. 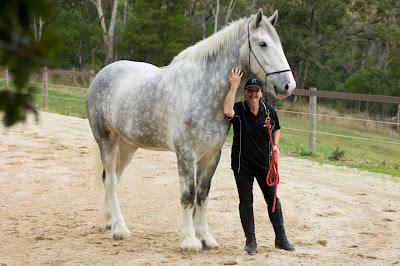 Noddy left home as a 6 month old weanling to go and live with Jane in Victoria. He was 15 hands, the usual size for our weanlings. 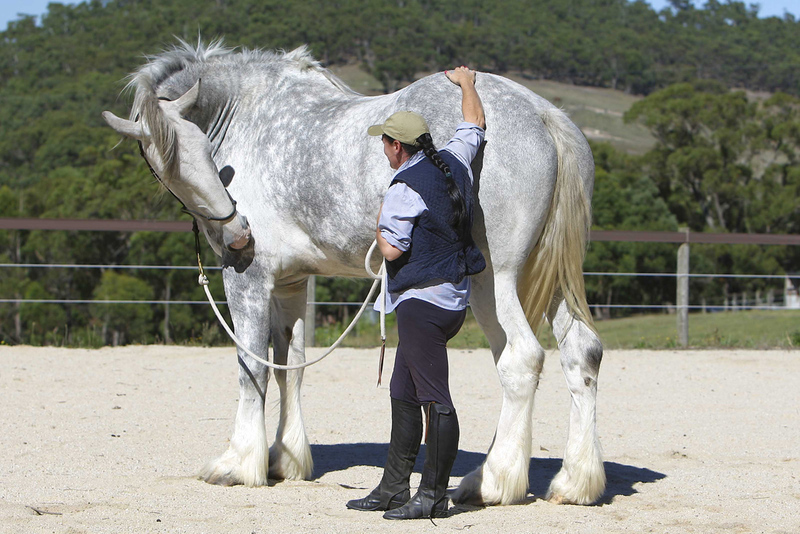 Jane however was not expecitng such a big 'foal', even though she wanted a Shire that was grey and that would grow to be a big horse. Little did she know she would end up with the Worlds Tallest Horse. Nodram and his half brother Luscombe Grey Spark are the only two grey shire geldings in Australia. 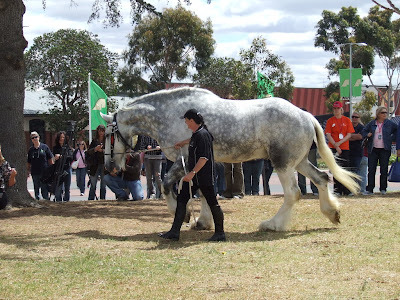 Now Nodram enjoys spending his days with his best mate Nash the Suffolk Punch (one of only 7 in Australia).